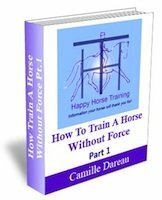 lets you know whenever any new when pages appear on Happy Horse Training, giving you more information to help you with horse care and riding. keeps you up to date with other postings, such as interesting ideas which come up in our work with horses, or commentary on topical issues. lets you know when new products, such as eBooks, become available on HHT. 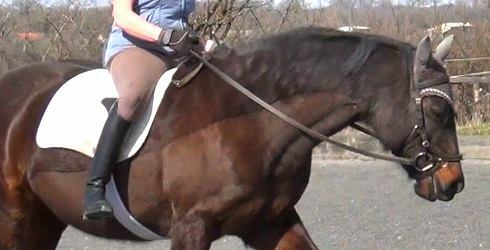 Authentic shoulder in is defined as the rider's abiity to release the outside rein without loss of balance, bend, yielding or direction. 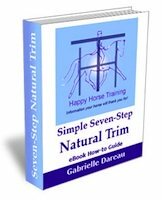 It is an immensly valuable gymnastic tool in training horses. Continue reading "Authentic shoulder-in: no cheating!" 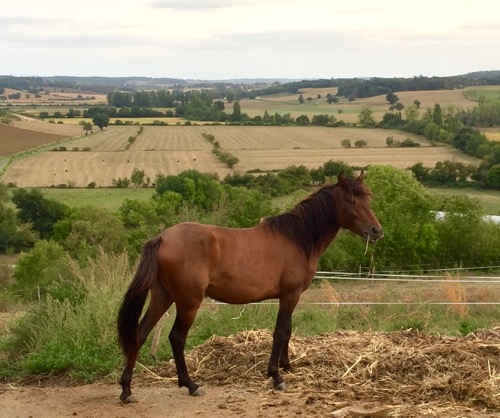 Continue reading "A hammer and a bag of nails in Bulgaria"
Continue reading "Resolving Tension in Horses "
This account of an experience with a very reluctant young horse explains how to load a horse using relaxation-generating contact yielding instead of tension-generating intimidation. 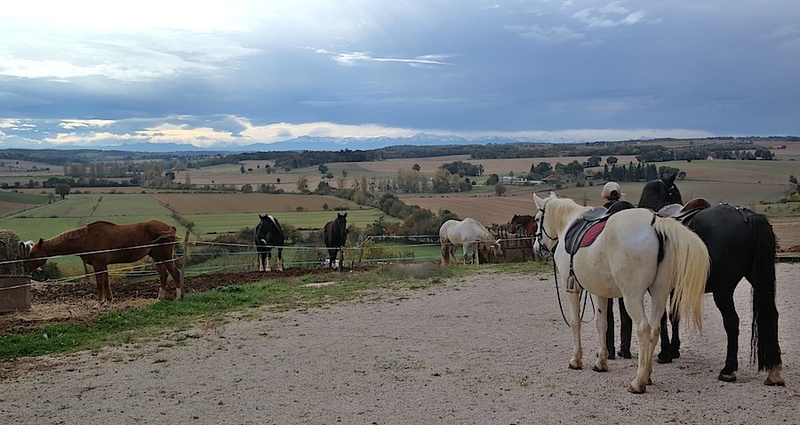 Continue reading "How To Load A Horse Using Relaxation Not Intimidation "
It is a challenge to describe subtle energetic interactions like the energy connection we make with a horse. 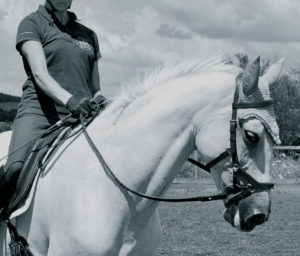 Continue reading "The Texture of Energy Connection"
HHT's dressage diagrams give unique visual clarity to many important aspects of riding and training horses. 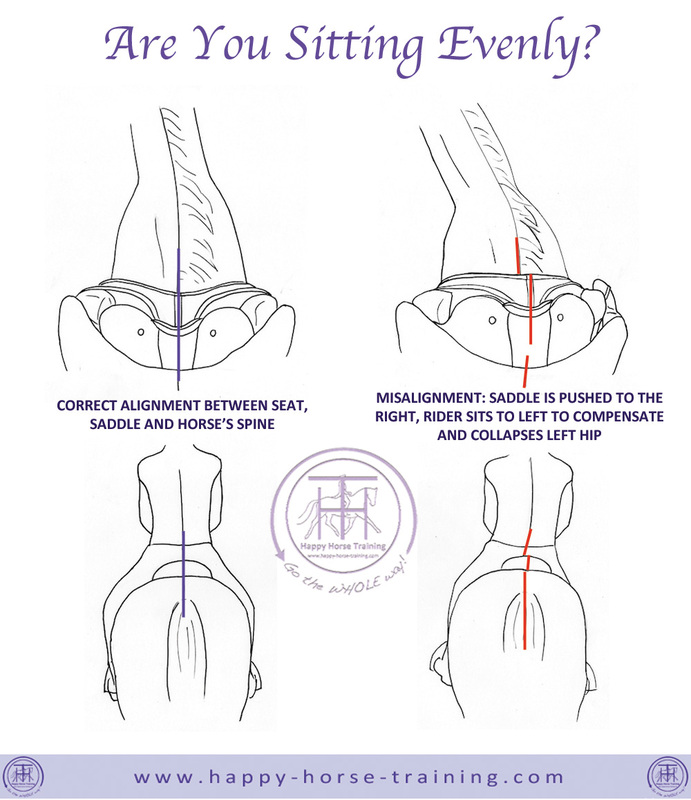 Continue reading "HHT Dressage Diagrams"
Postural Alignment: Are You Sitting Evenly? 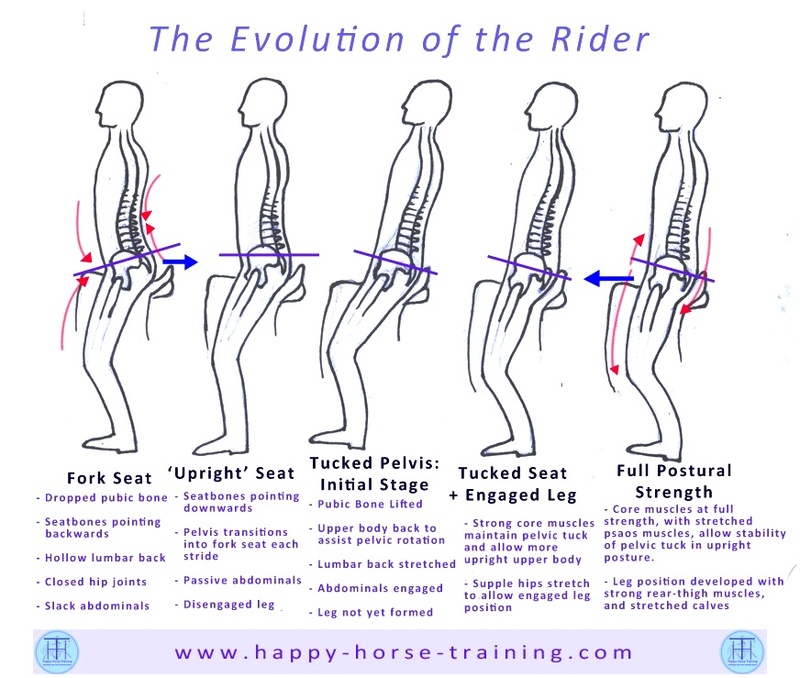 Postural alignment is essential to balanced, effective riding. 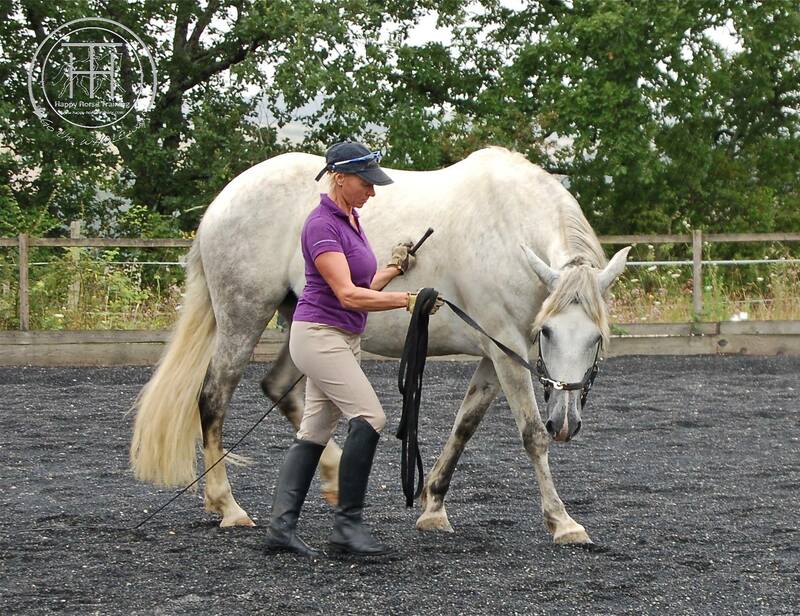 The foundation of this alignment is making sure that our body is positioned evenly in relation to the horse's spine. Continue reading "Postural Alignment: Are You Sitting Evenly?" Continue reading "my best friend lucky." 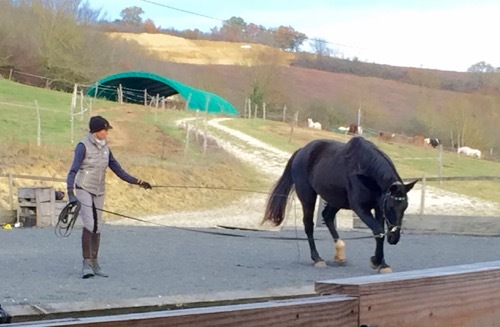 HHT's Holistic Horse Training clinics are an opportunity for us to share our understanding of holistic equitation and gymnastic riding directly with riders and their own horses. 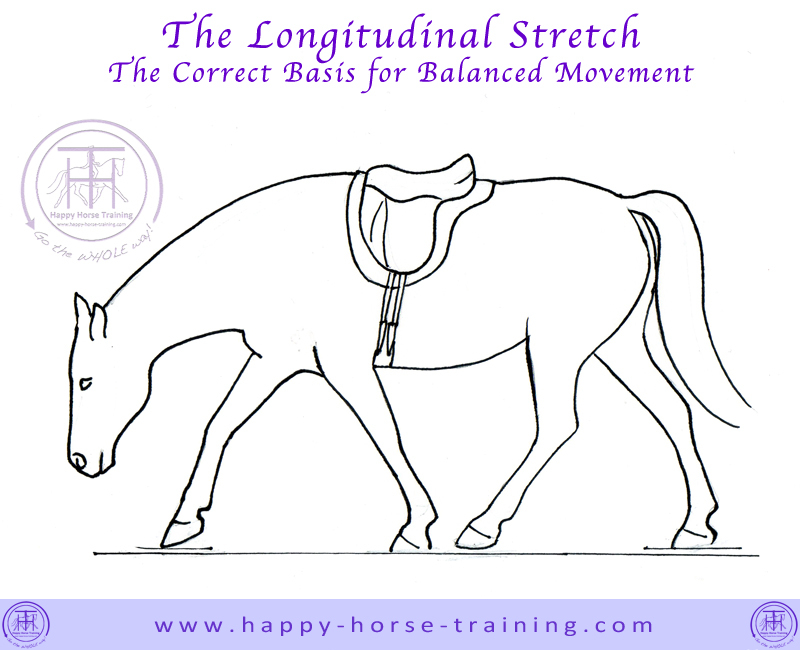 Continue reading "Happy Horse Training Clinics Worldwide"
Correct equine biomechanics for balanced movement are based on the longitudinal stretch - the flexion of the horse's spine that allows it to transmit power and carry the rider with strength. 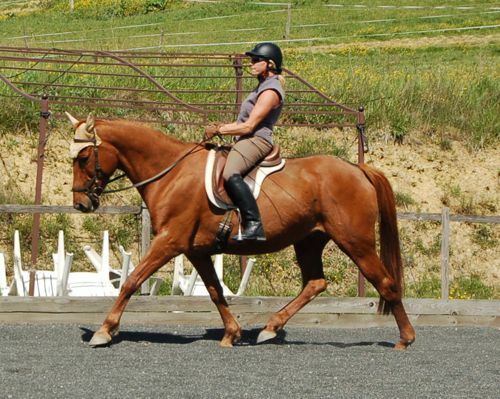 Continue reading "Sound Equine Biomechanics"
Forget Bitless, What About Saddleless? If you are going to argue for bitless then you have to argue for saddleless too. The argument being that if any equipment we use can cause harm to the horse then it must be rejected. Continue reading "Forget Bitless, What About Saddleless?" 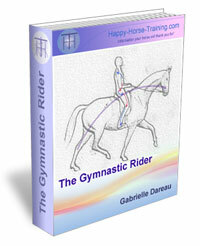 Gymnastic riding is the art of bringing the horse's movement into balance by the rider's postural influence. 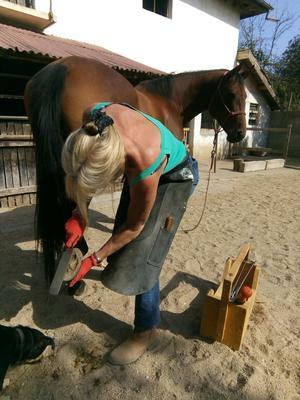 It is a way of connecting to the horse on a whole new level. Continue reading "Gymnastic Riding: A True Connection with the Horse"
HHT's third article to be featured in the international publication is 'Horse Behavior: What It Means to be a Prey Animal'. Baroque Horse is a beautifully produced, high quality magazine, which combines stunning photography with a diverse range of interesting articles on all aspects of horse-keeping and training. We are grateful that the magazine's editor, Danielle Skerman, has seen the value in our work, and is helping us to bring it to a wider audience. You can also read the article here on the HHT site. Continue reading "HHT Articles Featured In Baroque Horse Magazine"
Help Support HHT... Join The Holistic Revolution! 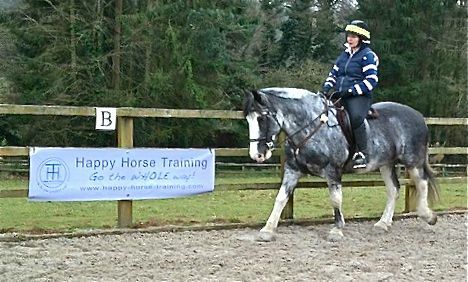 If you would like to support HHT's vocational work towards the well-being of horses and the understanding of riding and training them in a harmonious and meaningful way, you can make a donation here. Continue reading "Help Support HHT... Join The Holistic Revolution!"